This seismic shift in Passover culinary tradition got us thinking - Are there are other things that we didn’t know to be, in fact, kosher for Passover? A tenant in Judaism is that biblical laws, with few exceptions, are superseded in matters pertaining to one’s health. In this vein, ultra-orthodox rabbis in Israel recently declared that medicinal marijuana can be kosher for Passover as long it’s grown under rabbinical supervision. This isn’t the first time that kosher marijuana has been in the news. In December, Vireo Health in New York declared that they had become the world’s first kosher medical cannabis supplier under the supervision of North America’s Orthodox Union. So, in short, yes, you can get “Chai” on Passover. In the Torah, what one can feed their dog is explicitly talked about. According to MyJewishLearning.com, Exodus says that dogs (and cats, hamsters and whatever other pets one may have) are allowed to eat non-kosher meat, but cannot have milk and meat together (much like their human counterparts). In terms of Passover, since humans aren’t supposed to derive any pleasure from “chametz,” (food made from wheat, barley, oats or rye) feeding one’s furry friend any chametz is also forbidden. So, under this logic, there’s kosher for Passover dog and cat food. Also, cat litter needs to be kosher for Passover. Organizers added a new tradition at this annual hipster rite of spring: Passover seders. Sponsored by Rabbi Yonah Bookstein of the University of Southern California Hillel, a series of quick ten minute seders took place on Friday night for those hoping to “kosh their ‘chella.” The seders were mc’d by rapper Kosha Dillz with matzo and Manischewitz wine for all. Although Coachella dates for 2017 have not been announced yet, it is likely that it will once again fall during Passover. So, there will be a chance to seder it up in the desert next year. Related: Why Is This Passover Food Different From All Other Passover Food? 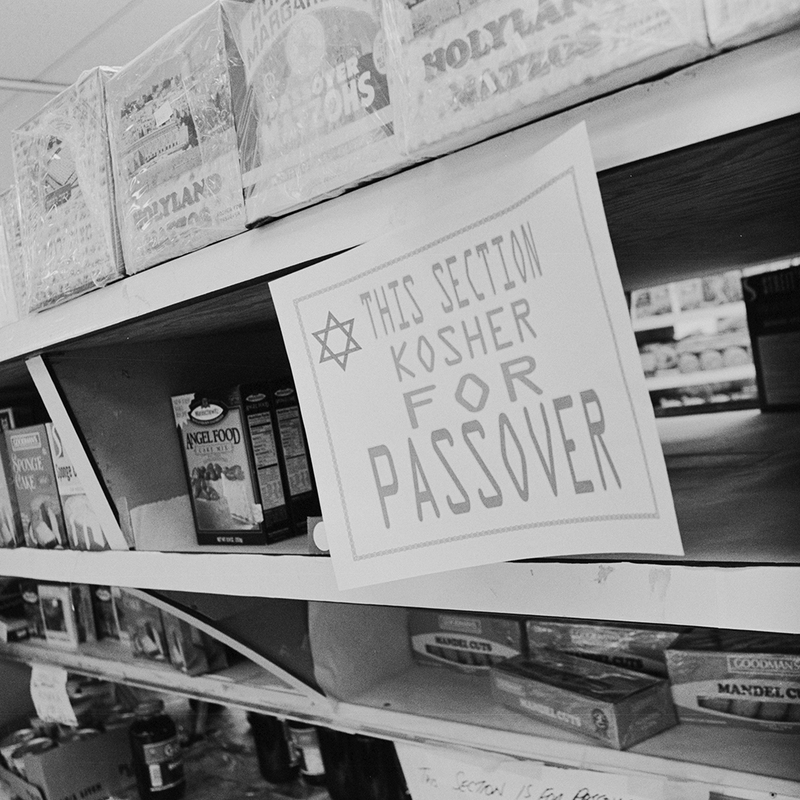 While tobacco itself is certainly considered kosher for Passover, the issue around cigarettes on Passover is a health question: Is partaking in something that is harmful to oneself in accordance with Jewish law? In 2013, several Israeli-based cigarette companies were deemed kosher but Israel’s chief rabbinate opposed this decree by saying, "Poison is not kosher. For all days of the year, not just Passover." Nonetheless, cigar companies are also getting into the kosher for Passover game by producing cigars that are not only under rabbinical supervision but are only treated with water and rolled using a tree sap-based glue, as opposed to a more common glue derived from cereal grain. While the Republican presidential candidate’s vodka failed to do enough business in the US, it has had a second life on Israeli shelves as a kosher for Passover vodka. Earlier this month, however, it was uncovered by the Jerusalem Post that the vodka is, in fact, not kosher for Passover. In order for a vodka to be deemed acceptable for the holiday, it needs to be distilled from something other than grains. This typically means the vodka comes from potatoes, beets or sugarcane. It is not clear how this mistake was made, but CBS News’ attempts to reach Trump’s campaign for comment were not returned.